You are going to Watch Fairy Tail Episode 95 English dubbed online free episodes with HQ / high quality. Stream Anime Fairy Tail Episode 95 Online English dub Lisanna. After being teleported back to Earthland, Chagot reveals that Exceed eggs had been sent to Earth to save them after she foresaw that Extalia would fall; Carla, possessing the same powers, had mistaken these visions as a mission. 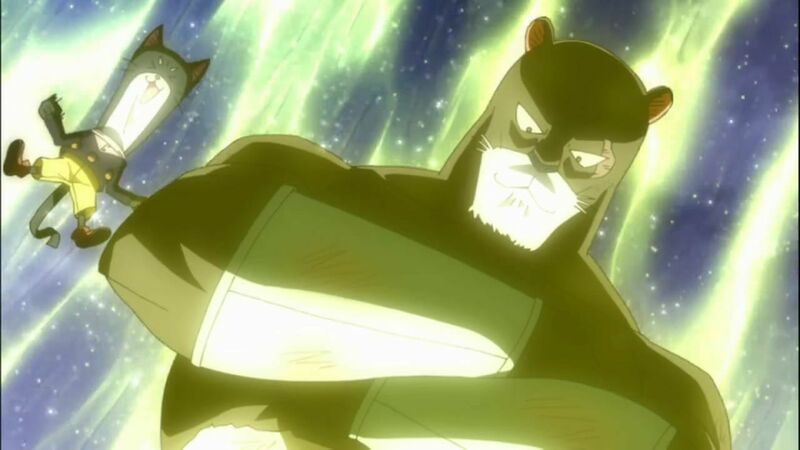 When the Exceed leave to find the remaining eggs, Panther Lily remains behind to be Gajeel’s partner and to honour Mystogan’s dedication to Fairy Tail. However, Panther Lily has brought them an unusual captive: Lisanna, who explains she is actually Earthland’s Lisanna Strauss. 4.8 / 5 - 109 ratings.